VIEW PUBLISHED EXPERIENCE REPORTS HERE. 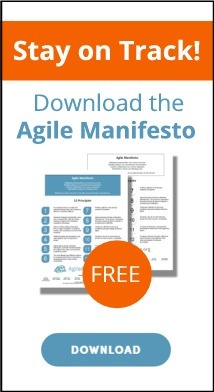 The Agile Experience Report initiative promotes the writing and timely sharing of firsthand agile experiences. The primary activity of the Agile Experience Report initiative is to recruit potential authors and a broad and diverse group of authors from the agile community and aid them to write short (6-8 pages) insightful reports about their experiences. Reports will be published on the Agile Alliance website. Authors will also be invited to present their report at an upcoming agile conference. Experience reports are a resource to those who want perspectives on what others are doing and the lessons they have learned along the way. A good experience report explains what happened, why it happened, who it happened to, and why we should care. What makes an experience report unique and compelling is that it is also a personal story. One powerful way that people learn is by relating to the dilemmas, thought processes and successes and failures of others. Experience report authors come from different countries, business and work contexts. By reading about diverse experiences, agile teams and individuals can come to realize the similar challenges they share and be inspired by how others continue to find ways to improve their work environment and practices. How you uniquely adopted, adapted, evolved, blended or scaled agile practices. How you tackled architecture, development, design, usability, quality assurance, requirements or documentation, deployment, marketing, product definition, product or program management. How you introduced agile practices to your organization and manage the transition to an agile culture? If you’ve been doing agile development for a while, how have your values or ways of working changed? What are you doing now and why? What were challenges you faced? How successful were you in overcoming them? What challenges remain? What mistakes did you make? What insights have you gained that others need to know about? Authors are requested to use the styles in this single column per page Word document. Are you interested in sharing your agile experiences? If so, we’d like to hear from you. Potential authors should submit a one to two page proposal to experiences@agilealliance.org. Tell us a bit about yourself and the experiences you’d like to share, highlighting one or two important lessons you learned. We will contact you to discuss your proposal.